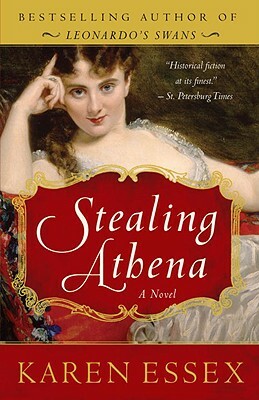 Stealing Athena is the story of two women, separated by centuries but united by their association with some of the world's greatest and most controversial works of art. Aspasia, a philosopher and courtesan to visionary politician Pericles during Athens's Golden Age, defies societal restrictions to become fiercely influential in Athens' power circle. Mary, the Countess of Elgin and a beautiful Scottish heiress, charms the fearsome men of the Ottoman Empire to make possible her husband's costly acquisitions, all the while brazenly defying the social conventions of her time. Both women prevail yet pay a heavy price for their rebellion. A tale of romance, intrigue, greed, and glory, Stealing Athena interweaves the lives of two of history's most beguiling heroines. KAREN ESSEX is the author of Kleopatra, Pharaoh, and the international bestseller Leonardo’s Swans, which won Italy’s prestigious 2007 Premio Roma for foreign fiction. An award-winning journalist and a screenwriter, she lives in Los Angeles, California. “Historical fiction at its finest." "Stealing Athena expounds on the weight of the past, the power of art, and the strength of women who exercised free will even when they had the fewest rights…. Uniquely relevant."